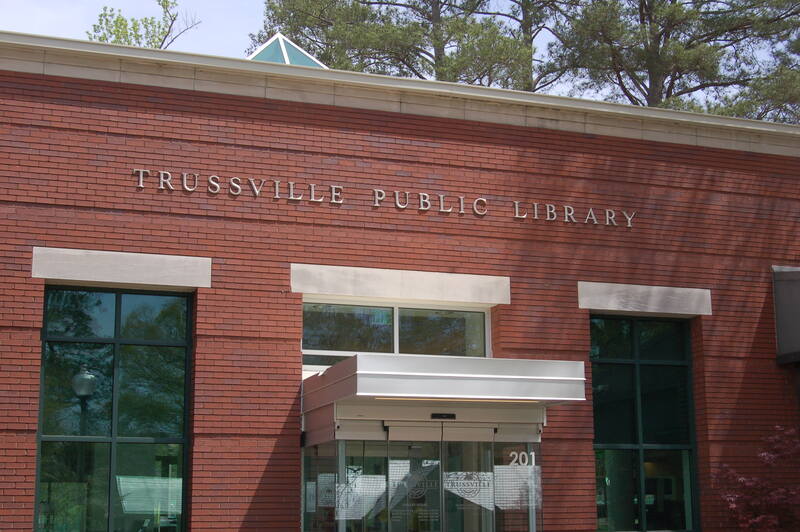 TRUSSVILLE — To say that Emily Tish is in love with the newly renovated Trussville Public Library would be a vast understatement. Actually, the entire staff would probably echo the library director’s sentiments. 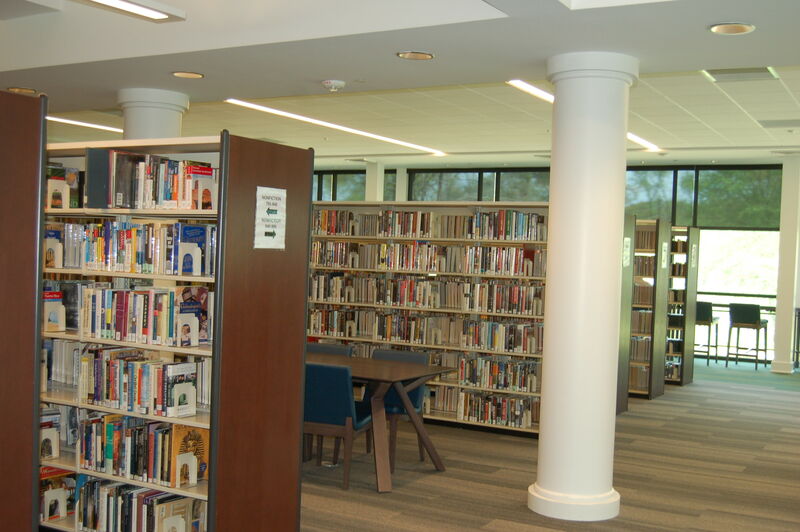 After being closed for some time, the library recently reopened with all kinds of expansions and upgrades. 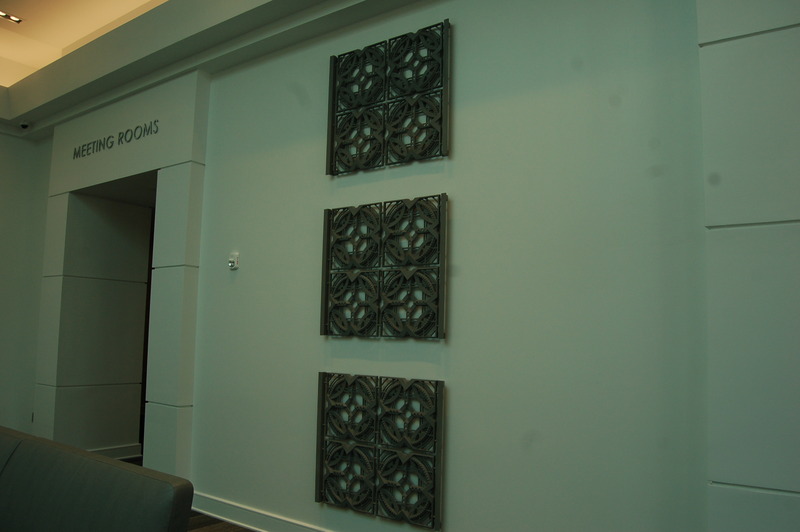 “You can tell I’m excited about it,” Tish said while walking through the building and talking of the new features. 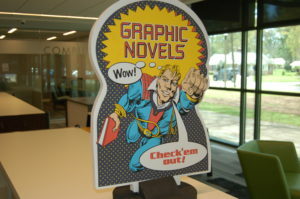 Upgrades were made to the circulation area where self checkouts are available. Tish said that the staff is waiting on more self checkout computers by the county. 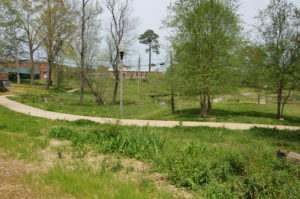 Anybody sitting at the back where new tables have been installed along the windows will be afforded a view of the park behind the building where the Cahaba River flows. 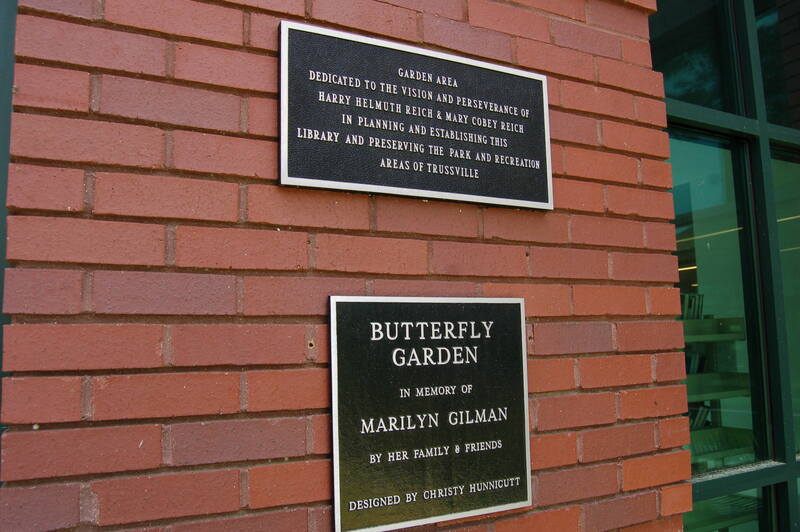 Tish said that gardeners are volunteering to replant the library’s “Butterfly Garden”. 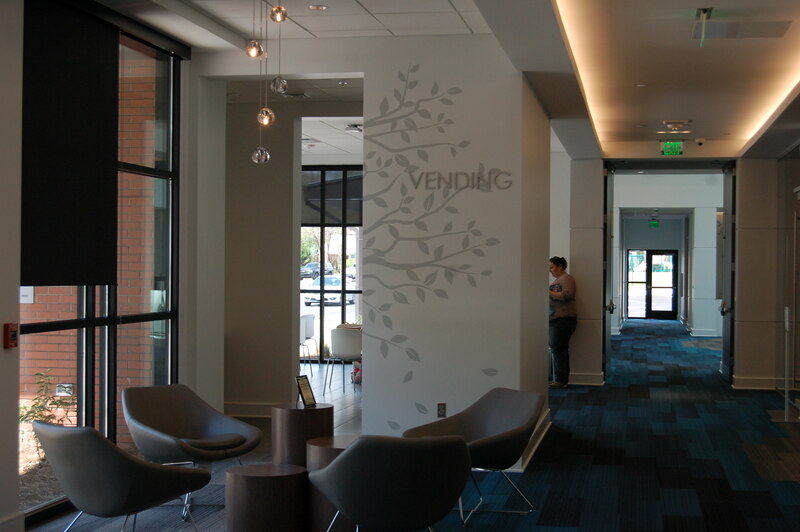 The building also features a vending area where a soft drink machine, as well as a snack machine and a coffee machine. Close to the vending area are study rooms that have been established. 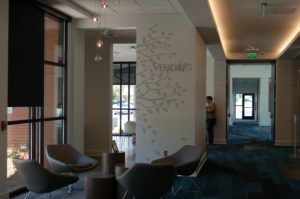 And when you look down at the carpet from the collection area through the vending and study rooms, including the administration part of the building, you’ll see that it’s colored blue, meant to imitate a river. 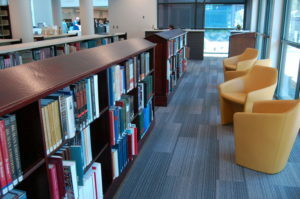 In fact, much of the library has embraced a sort of natural world aesthetic as part of the carpeting is colored a vegetative shade of green. 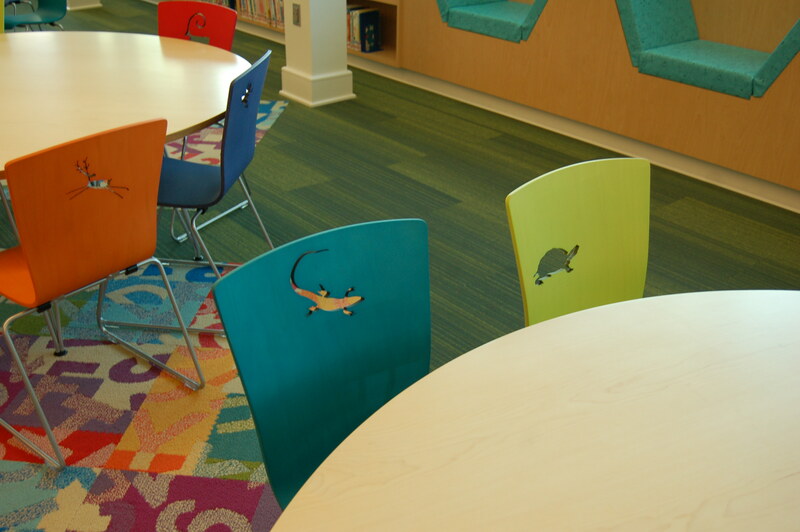 Animals are carved into the seats in the children’s area and the oak tree has become a logo for the library, Tish said. 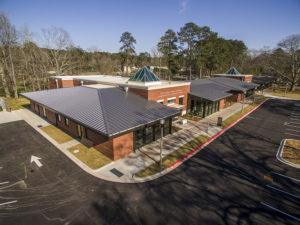 The library now has two new computers labs. 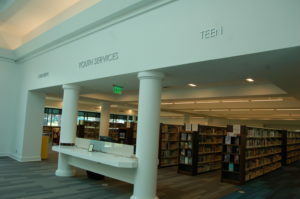 The teen area was extended to include a lab, as well as the adult area. 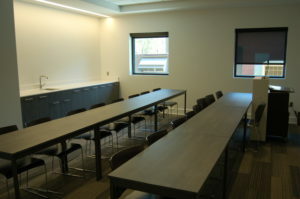 Tish said that the labs have public access computers but also feature space for people with laptops. 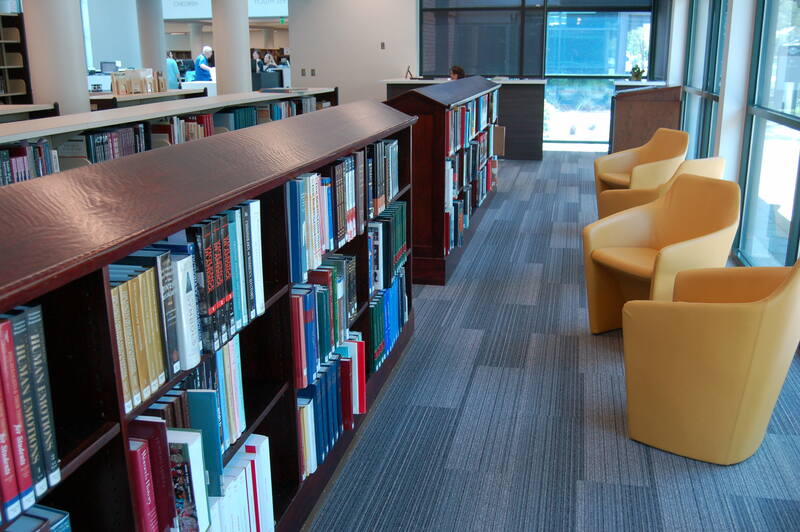 New seating in the teen area will allow young people a place to study or read. The children and adult areas were increased by 25 percent. The collection in these areas has not been increased yet but Tish said that the library will expand on that “little by little.” In the children’s area new tables were set up along with a built-in bookshelf. Children’s programs and storytelling events have been moved to the auditorium. 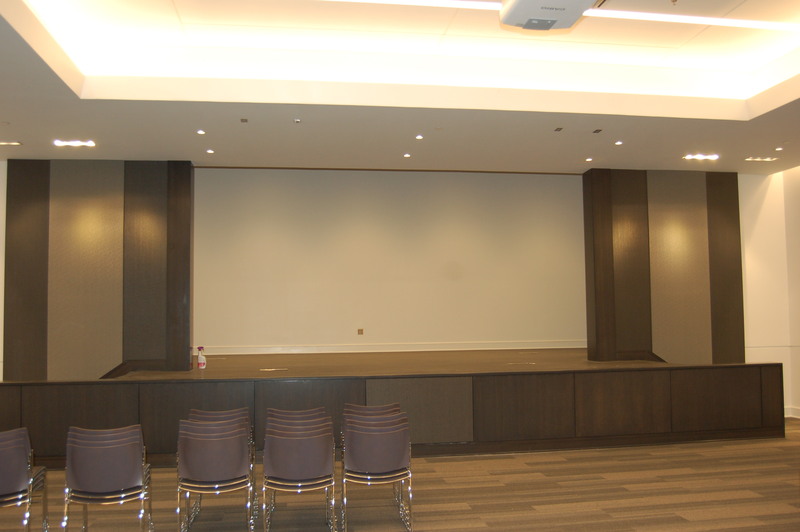 The auditorium is not yet completed, Tish said. 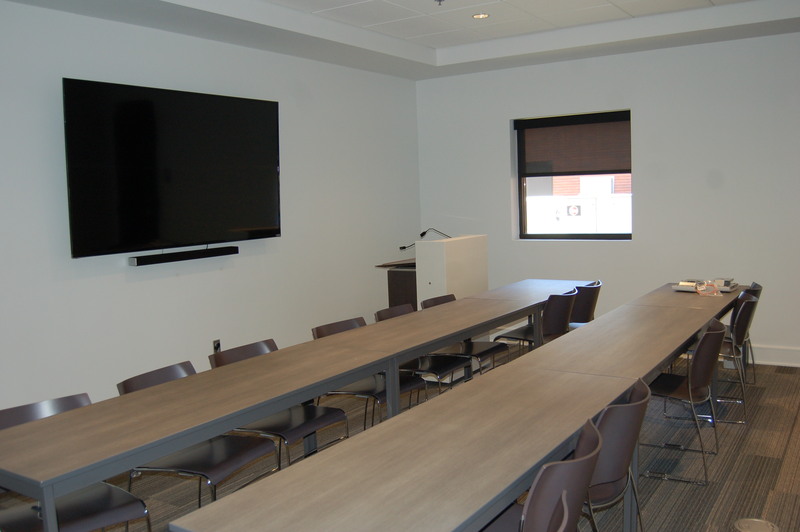 But it is a 250 seat room that will have a 12 to 15 foot screen as part of the stage. In addition to plays, movies and other events can be shown onstage. 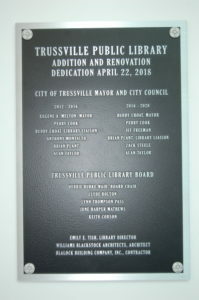 An opening day celebration will be held on April 22 with a ribbon cutting at 2 p.m. That day will feature storyteller Dolores Hydock as the first performer in the auditorium. 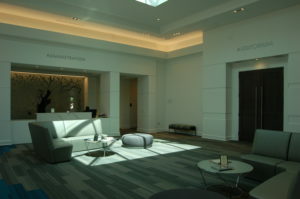 People will be welcome to tour throughout the building. 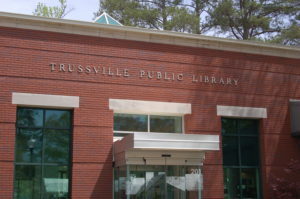 See the gallery below for some of the sights inside the Trussville Public Library. An aerial view of the newly renovated and expanded Trussville Public Library. Photo by Ron Burkett. 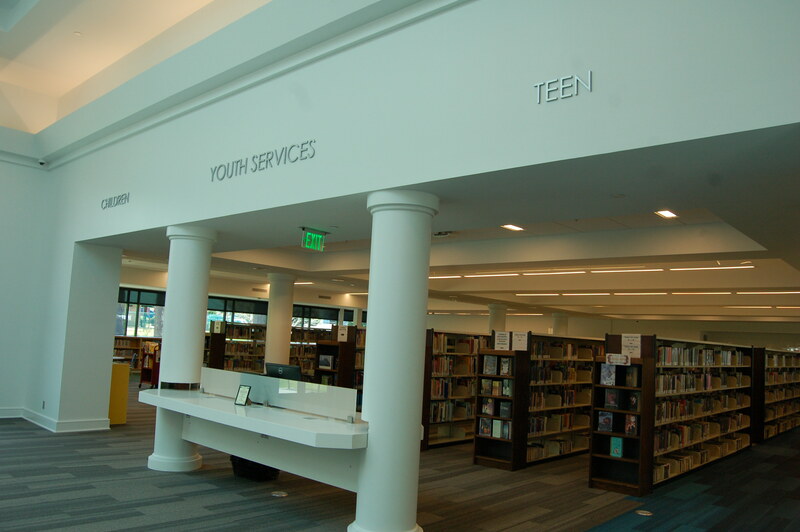 Youth services. Photo by Nathan Prewett. 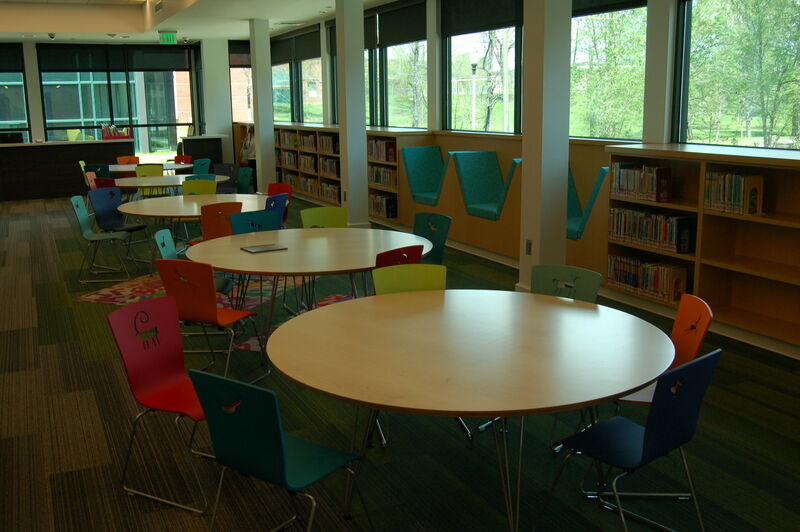 New tables in the children’s area. Photo by Nathan Prewett. Chairs in the childrens area. The building will feature an upgraded archives room. Photo by Nathan Prewett. 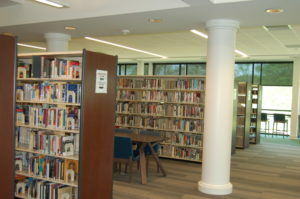 Seating in the adult area. Photo by Nathan Prewett. The vending room. Photo by Nathan Prewett. The administration office next to the auditorium entrance. Photo by Nathan Prewett. 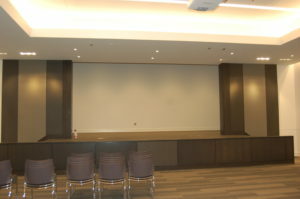 The stage in the auditorium. A newly built meeting room. Photo by Nathan Prewett. A meeting room now featuring a sink. Photo by Nathan Prewett. Iron re-purposed as art, originally came from the front of the community center. Photo by Nathan Prewett. The adult collection. Photo by Nathan Prewett. 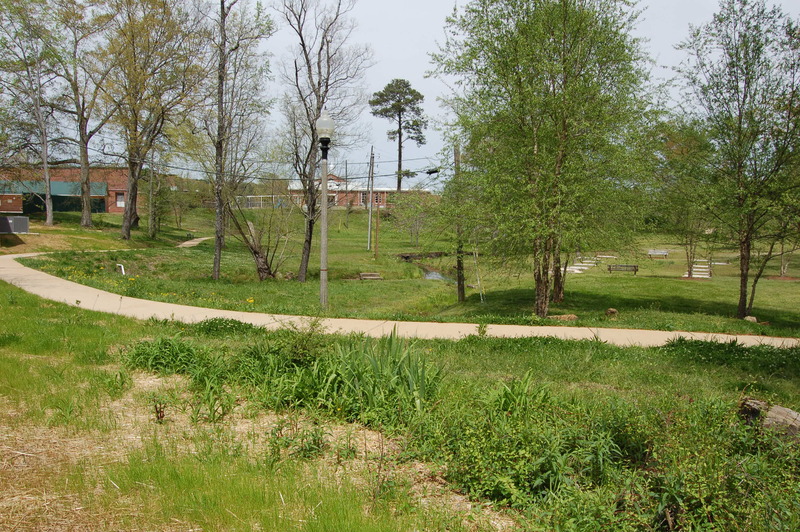 The park behind the library. 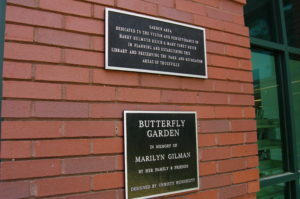 Plaques dedicating the Butterfly Garden, which will be replanted in the future. Photo by Nathan Prewett. Graphic novels in the teen area. Photo by Nathan Prewett. Exterior of the building. Photo by Nathan Prewett. 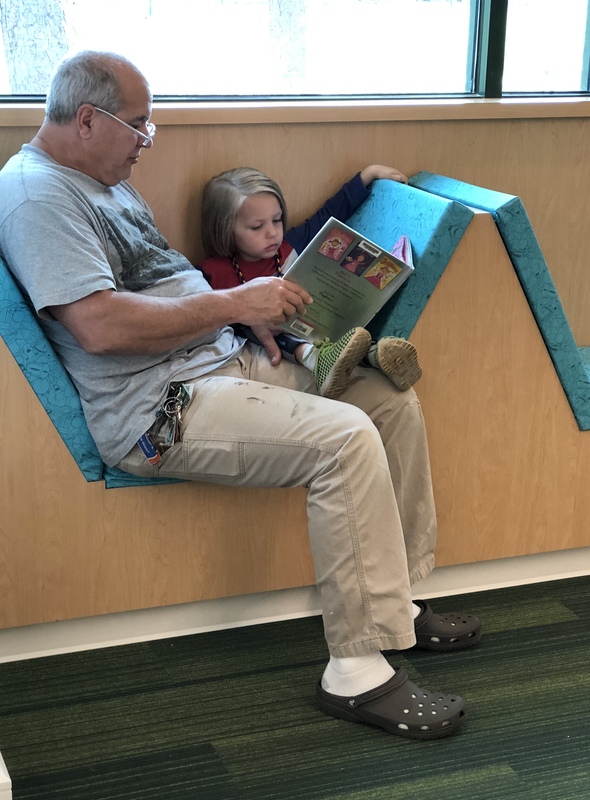 Ron Hanchey reads to his grandson Wynn McKelzey. 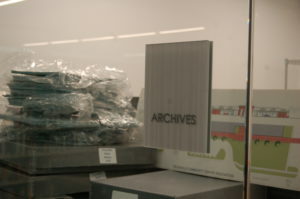 Photo provided by Maura Davies. 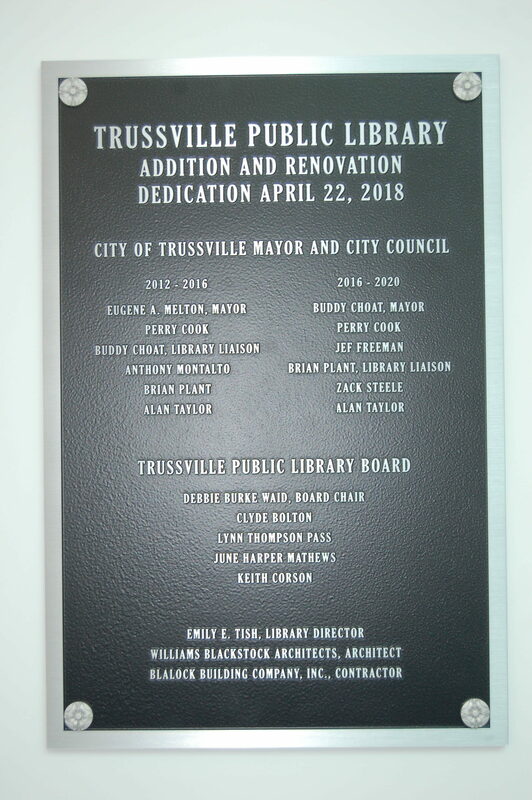 Renovation plaque. Photo by Nathan Prewet.